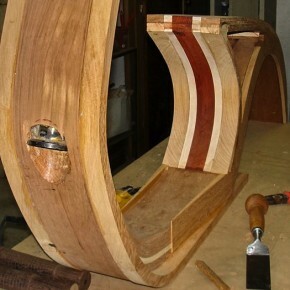 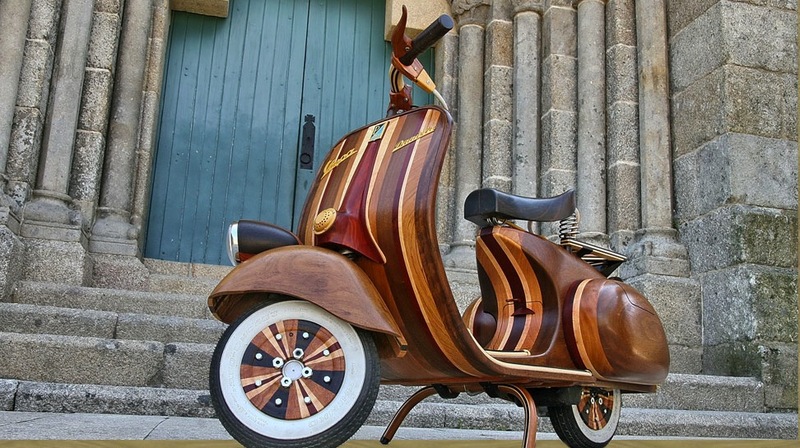 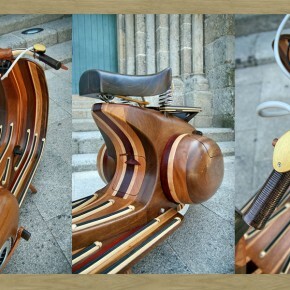 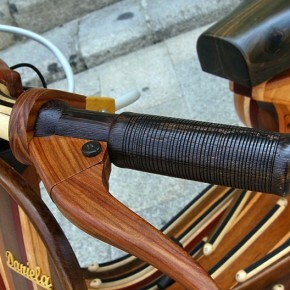 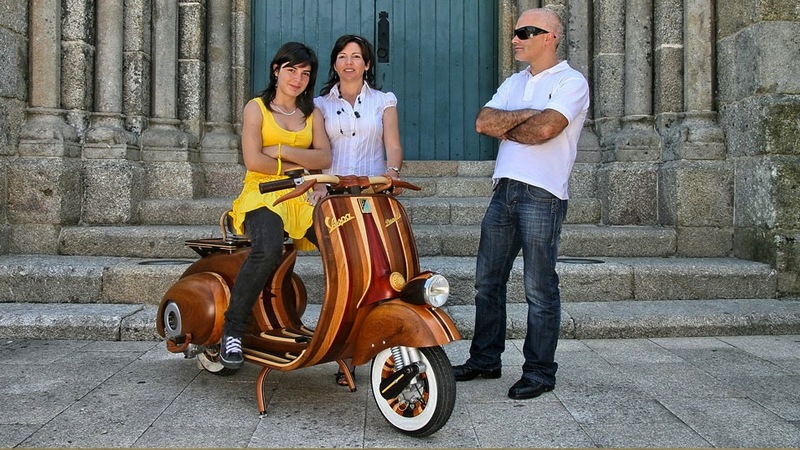 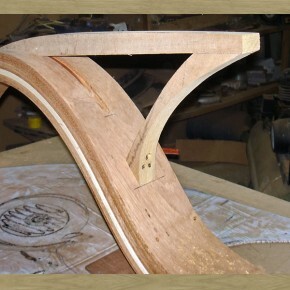 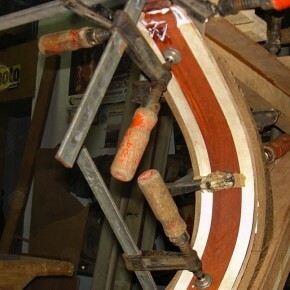 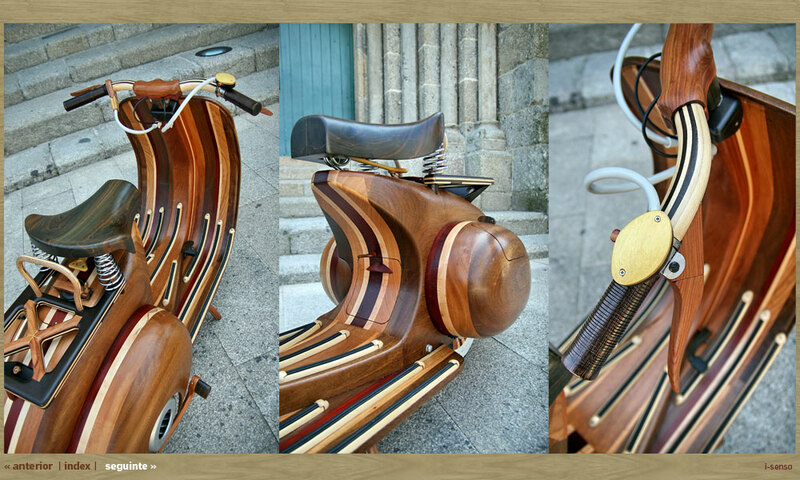 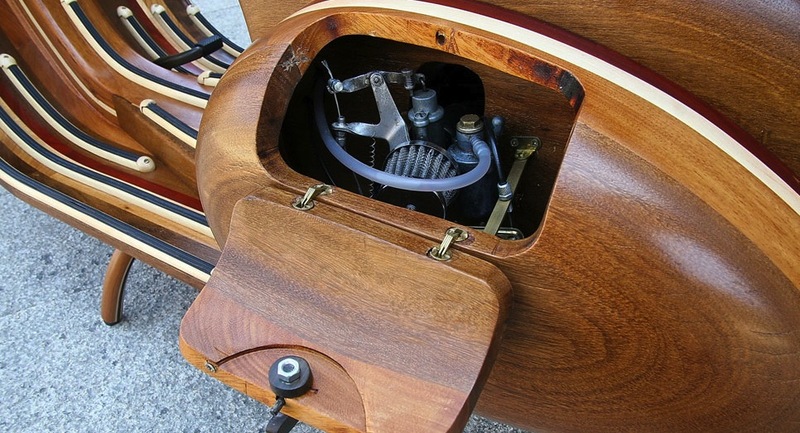 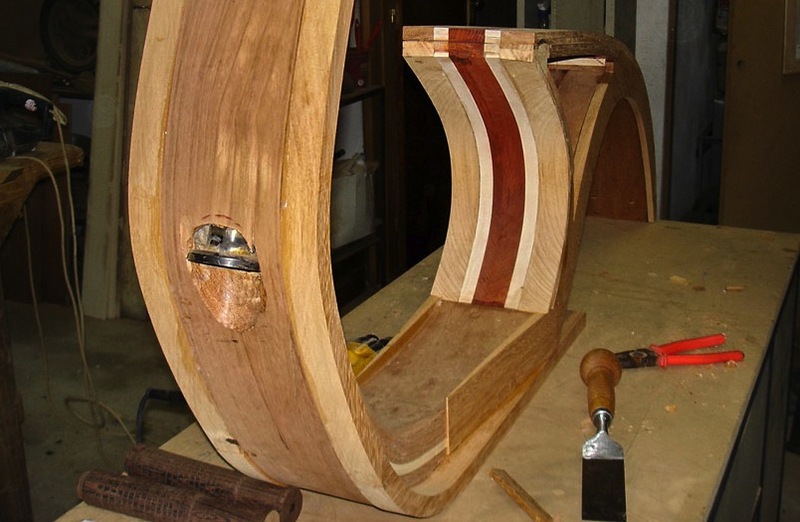 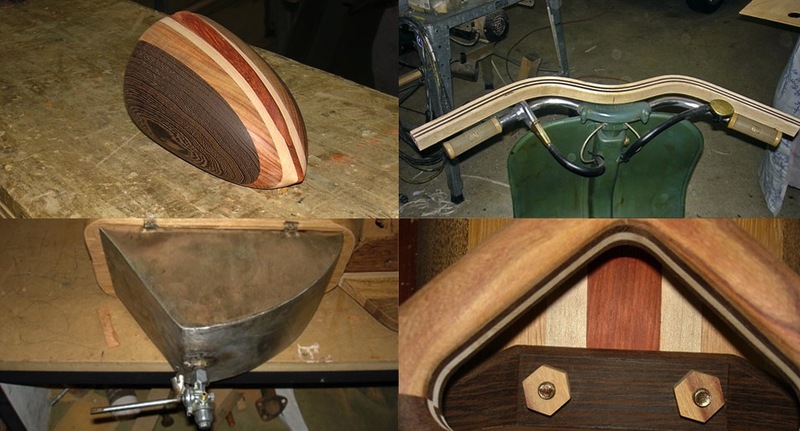 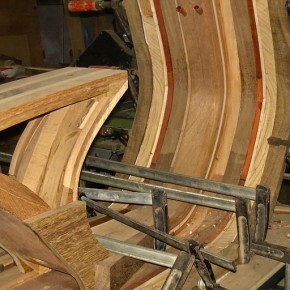 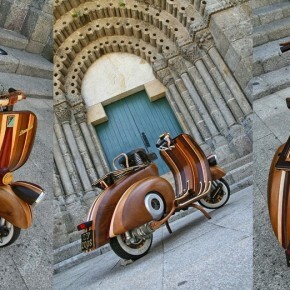 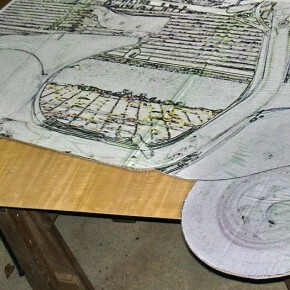 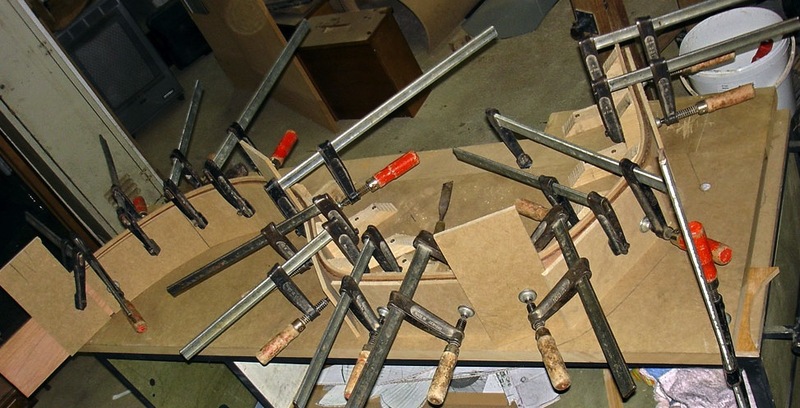 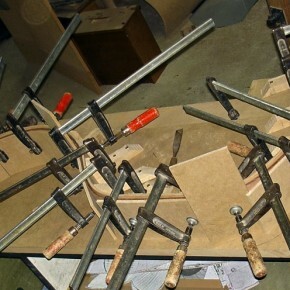 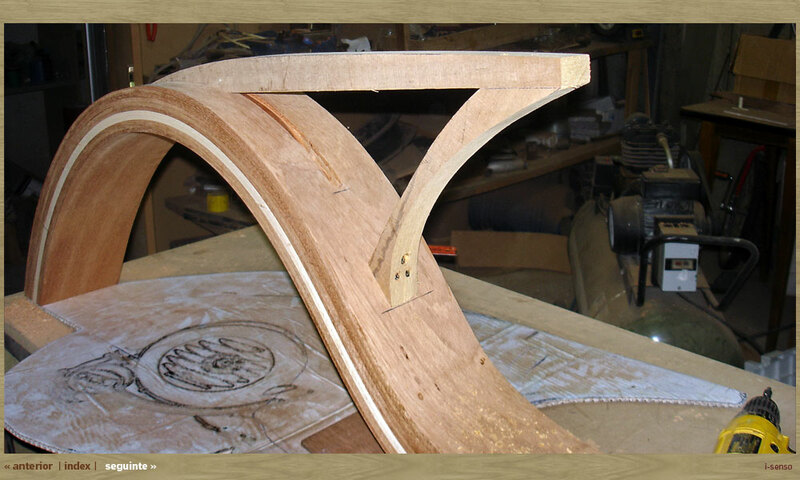 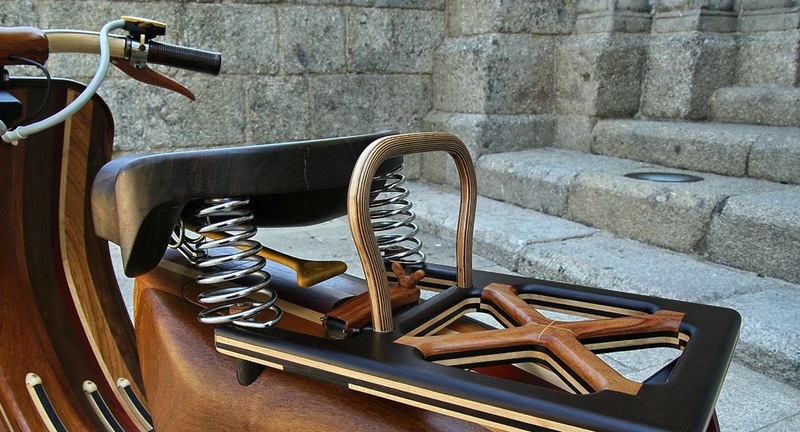 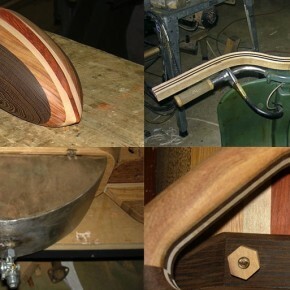 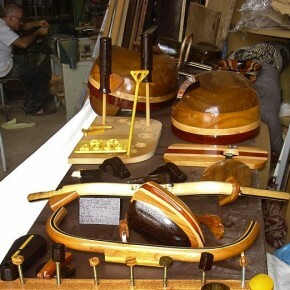 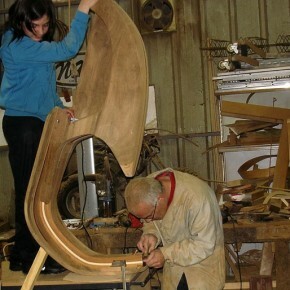 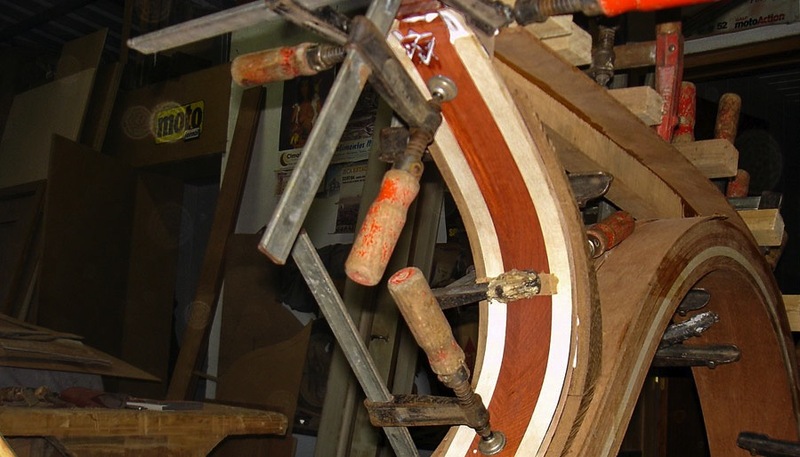 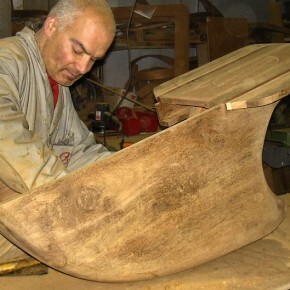 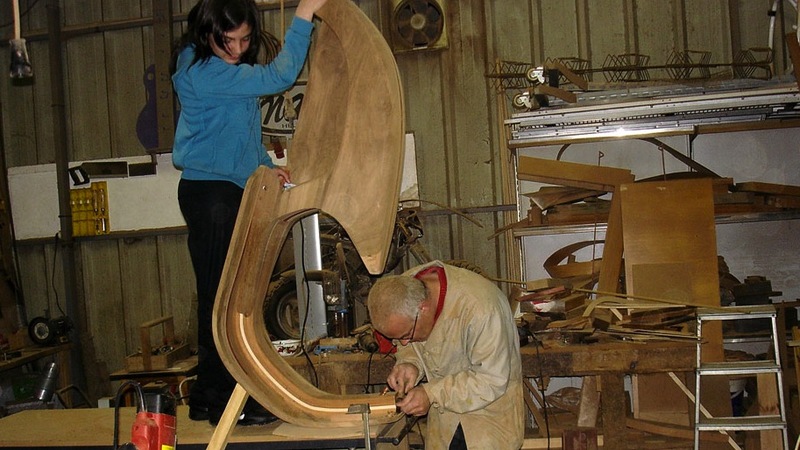 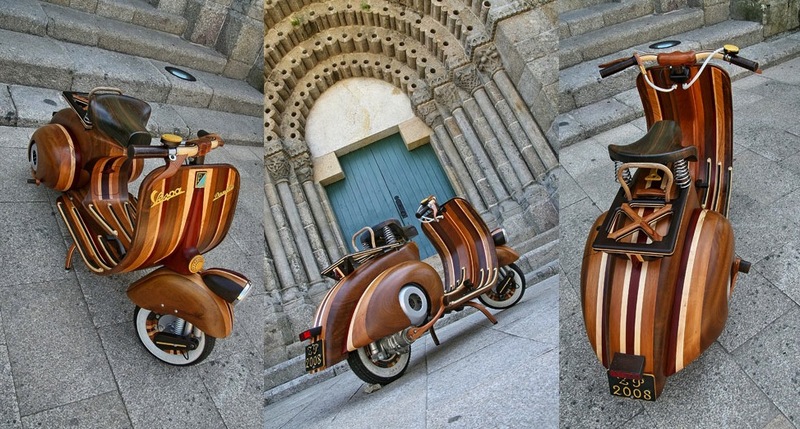 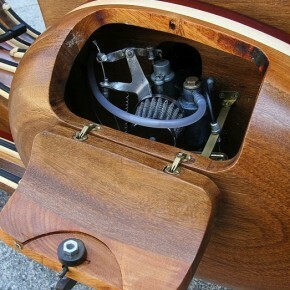 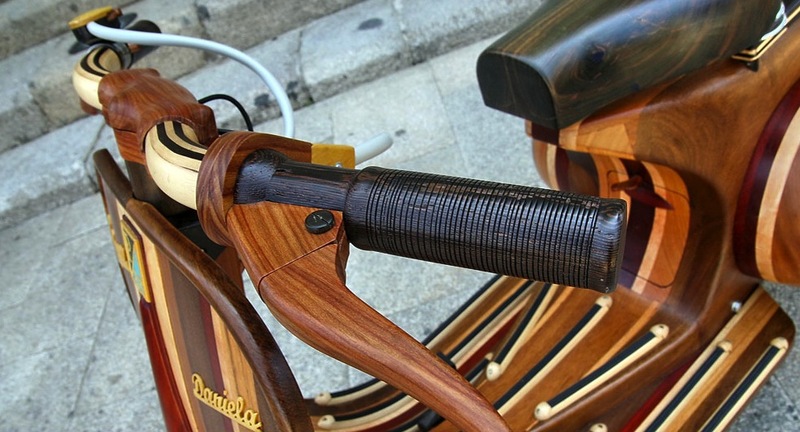 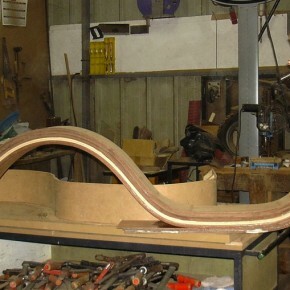 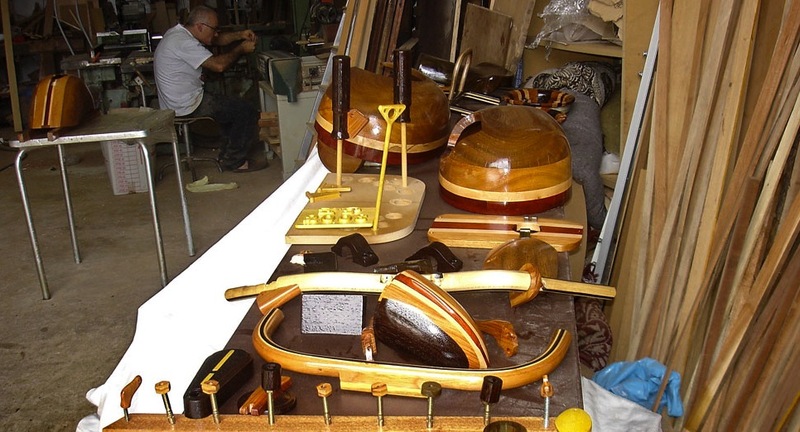 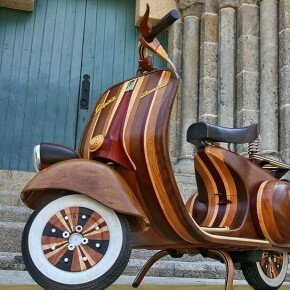 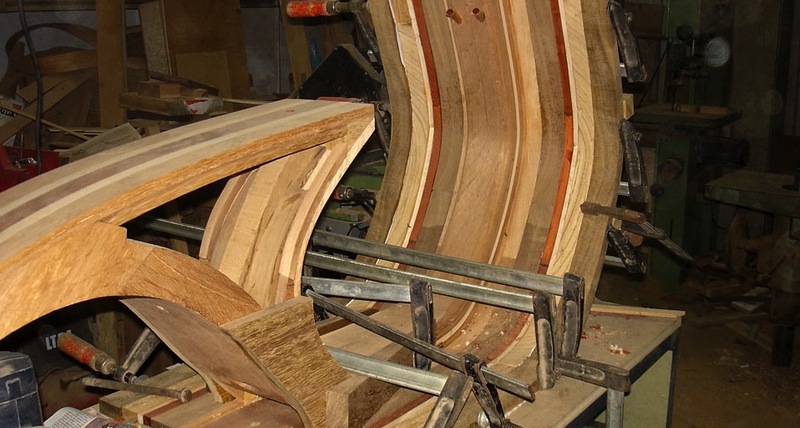 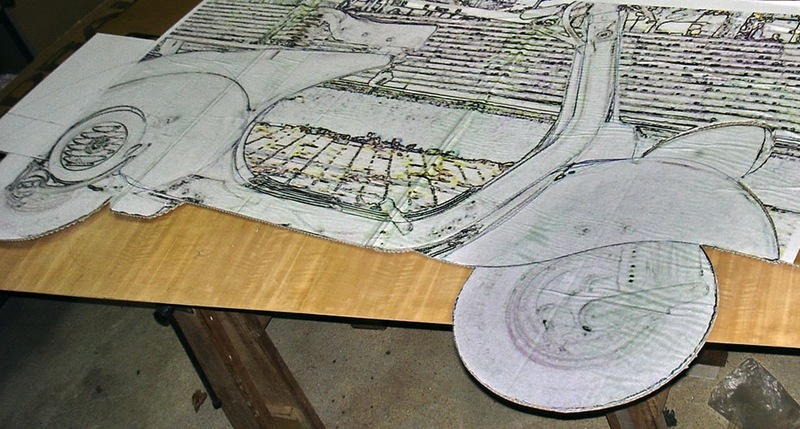 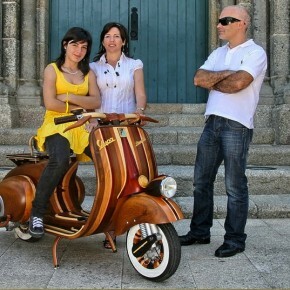 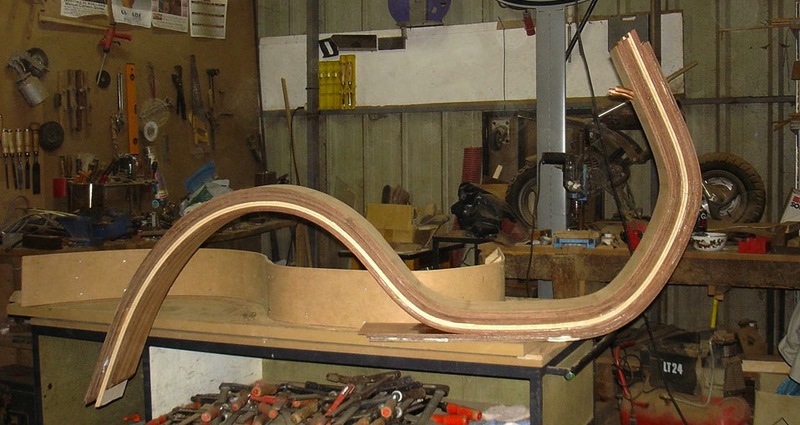 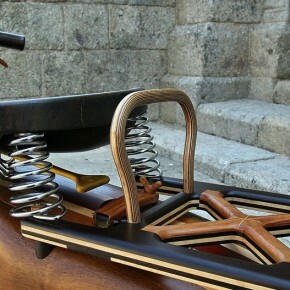 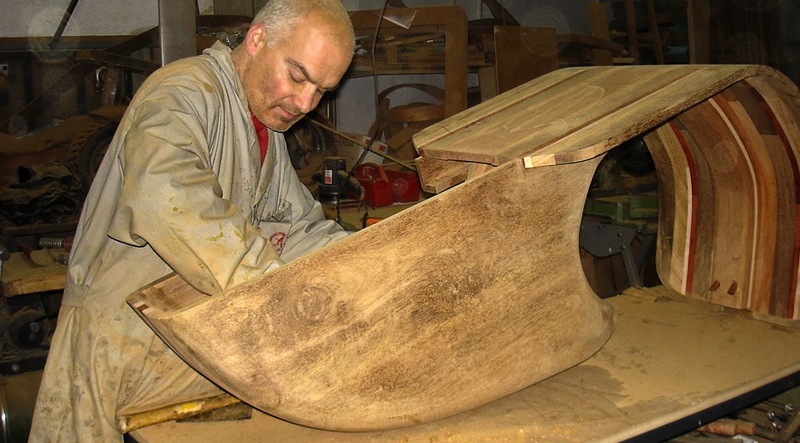 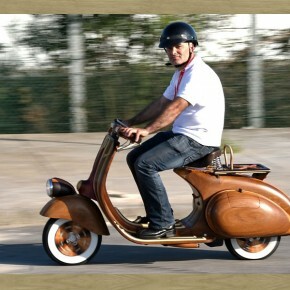 It boggles the mind to think how much skill, talent and patience it must have taken Carlos Alberto to create this fully-functioning laminated hardwood Vespa. 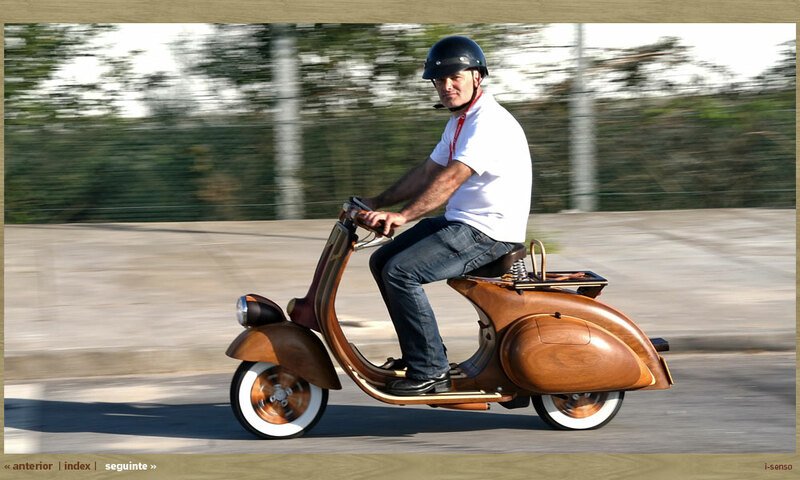 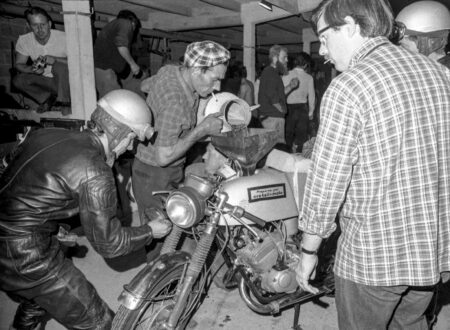 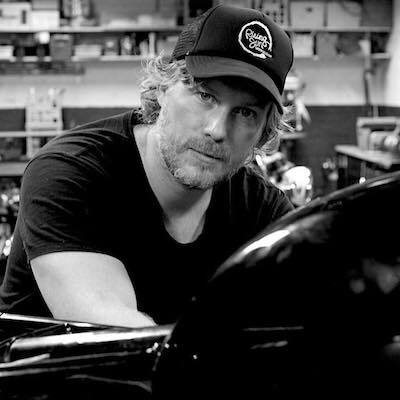 He built it for his daughter Daniella and subsequently named it after her, the 50cc 60s era scooter is built to the same exact dimensions of the original, iconic Vespas that rolled off the factory floor throughout the decade of free love. 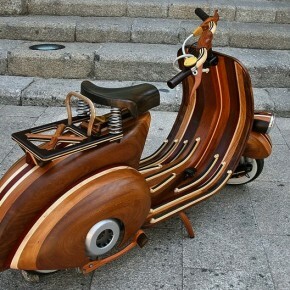 I’m not usually much of a scooter aficionado but this is clearly a work of art, anyone who’s attempted to build a set of wooden shelves will understand the level of craftsmanship that went into creating this little 50cc Vespa. 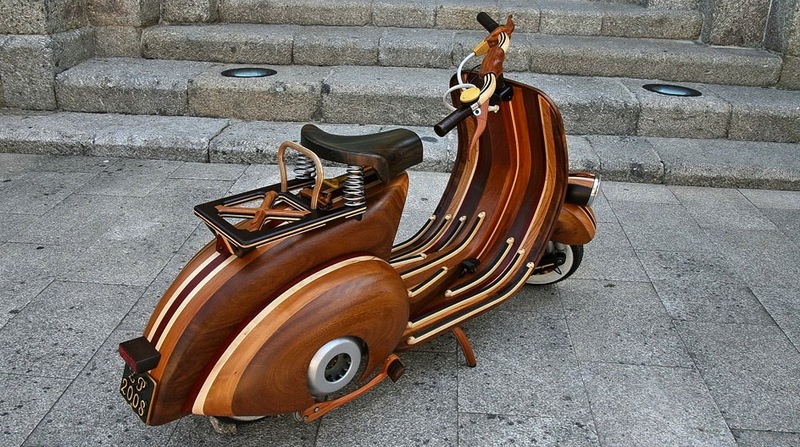 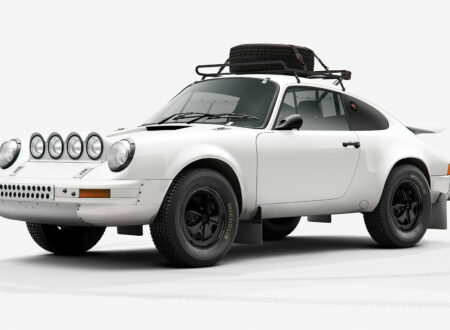 It’s breathtaking.